You are here: Home / Buying a Home / How Much House Can I Afford? Before you start shopping for homes, it makes sense to set some expectations. Ask yourself how much house you can afford otherwise you run the risk of becoming house-poor and becoming a slave to that dream home. 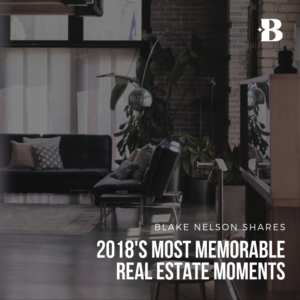 Buying something as large as a house is an important decision and it’s perfectly normal to have a myriad of questions, and even some concerns, but there are a number of things you can do to put your mind at rest before you start shopping for your new home. While it can be quite tempting to buy the most beautiful home you see, our team isn’t going to help you buy a dream home that will lead to a nightmare of short-sales or foreclosure. We’re here to help you make the best of memories. It is important to be honest with both yourself and your lender when calculating how much you can afford. The 30% rule is a common starting point for figuring out what your home should cost. It is often suggested that you take your gross monthly income and subtract your total monthly expenses. What this means is, you should be able to afford a monthly payment that is equivalent to 30% of your income. While this method is nice and simple, it’s a shortcut and may not paint the full picture. Be mindful of future expenses such as having a child, or payments on another vehicle. Remember, the 30% rule doesn’t factor in taxes. Your gross income is not actually what you take home, in fact about a third of it will never even be usable. This inflates the figure and can make unsuspecting home buyers think they can spend more than they should. Having the most accurate possible calculation will go a long way towards making a good decision. It’s a good idea to use use the 30% rule for reference, but this is more of a guideline than a hard and fast rule. The other inevitable part of the home buying experience that is easy to overlook is the sudden repair costs. If you are used to renting a home, don’t forget that once you move into your home, you are you are responsible for upkeep and maintenance of your home. Many homeowners I work with guesstimate the annual cost of upkeep and repair of your home can be 2% of your home’s value. In order to prevent the stress of unexpected expenses, think about what would happen if your monthly costs suddenly increased. If you aren’t sure if you could afford a sudden price hike, maintenance cost, or new monthly expense, then stick to the lower end of your budget. The best way to find out how much you can afford is to talk to a reputable lender. 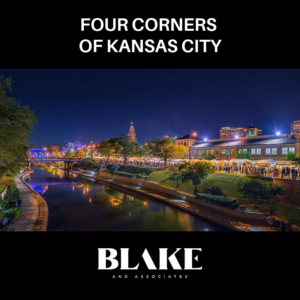 Contact Blake if you’re looking to buy a home and we can help you connect with an awesome lender from our network of partner resources. All the lenders we work with will make sure you only land in a home that you can afford. Kansas City is a beautiful market when it comes to Real Estate because there are always dream homes available at every price point. 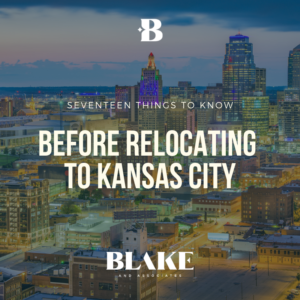 We can help you identify which neighborhoods you can afford, and balance that with your needs for school districts, highway access or other local amenities. To give you a rough guide, we’ve compared the median home cost in four neighborhoods and outlined what your income should look like if you are using the 30% rule as a guide. Now that you have some knowledge about determining how much house you can afford, reach out and schedule a viewing of one of our featured homes, or tell us what your dream home, and we’ll start house-hunting for you!